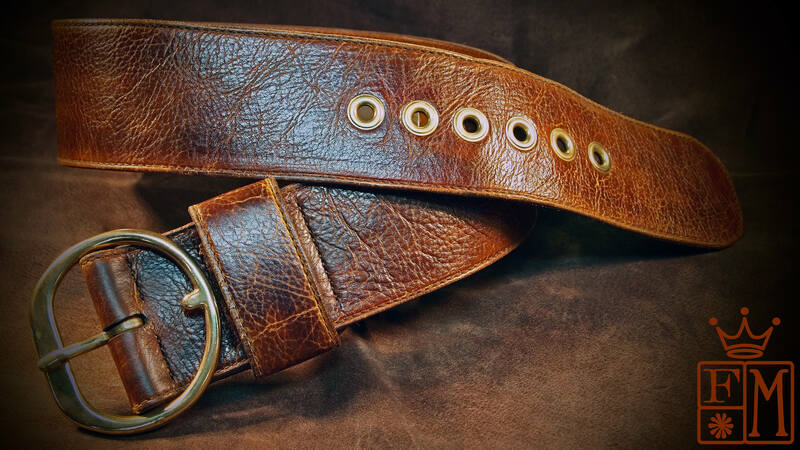 This Ladies distressed brown leather belt is hand dyed and distressed using soft vegetable tanned leather. 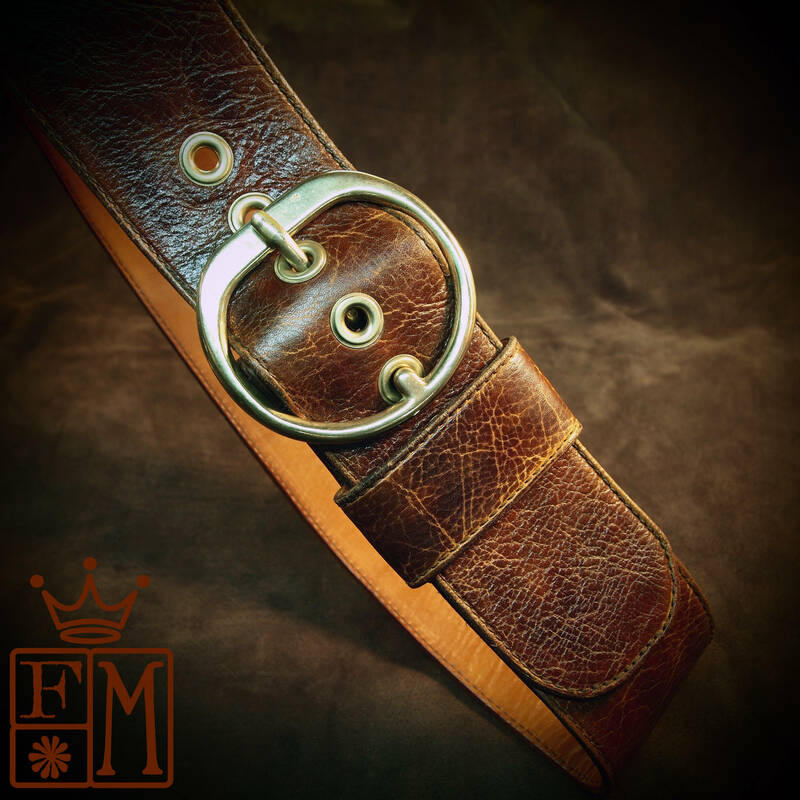 It is fully lined in calfskin, stitched and closes using a big solid brass buckle, a wide keeper and brass eyelets. 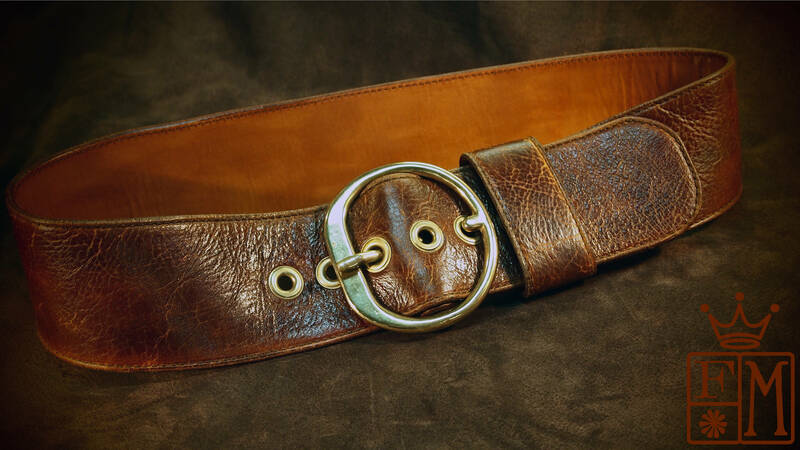 The belt has a curve built into it so it sits nicely on your hips. 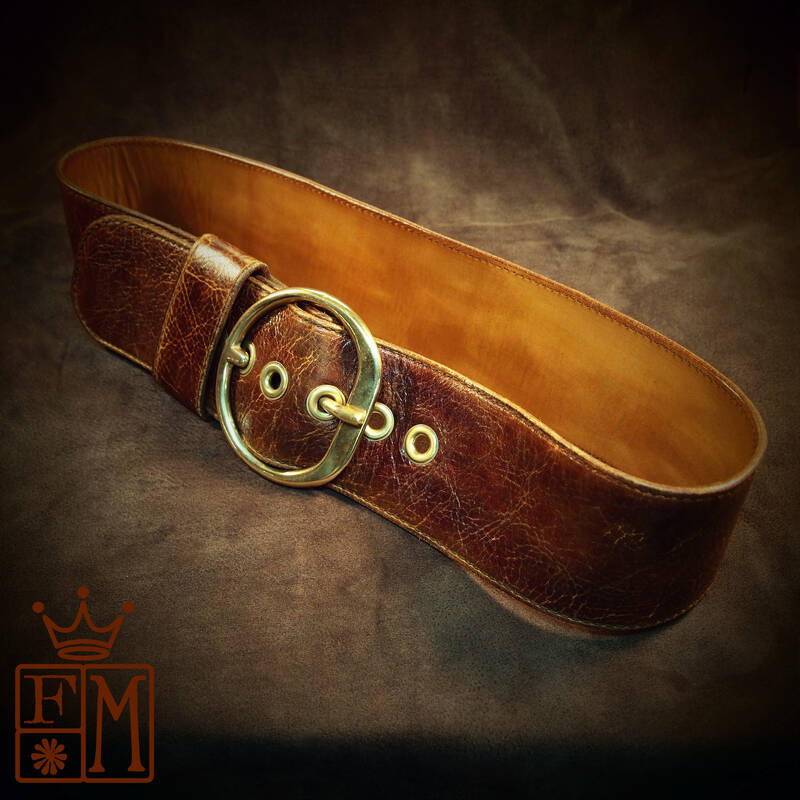 available in black, studded, guitar strap format!, etc... just ask! 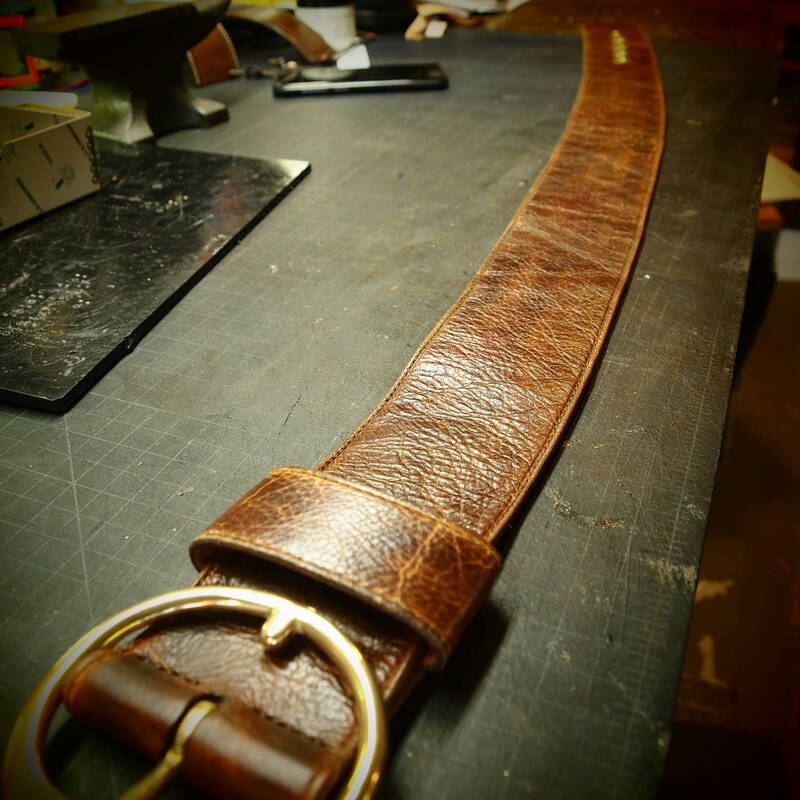 I need your size for this belt! 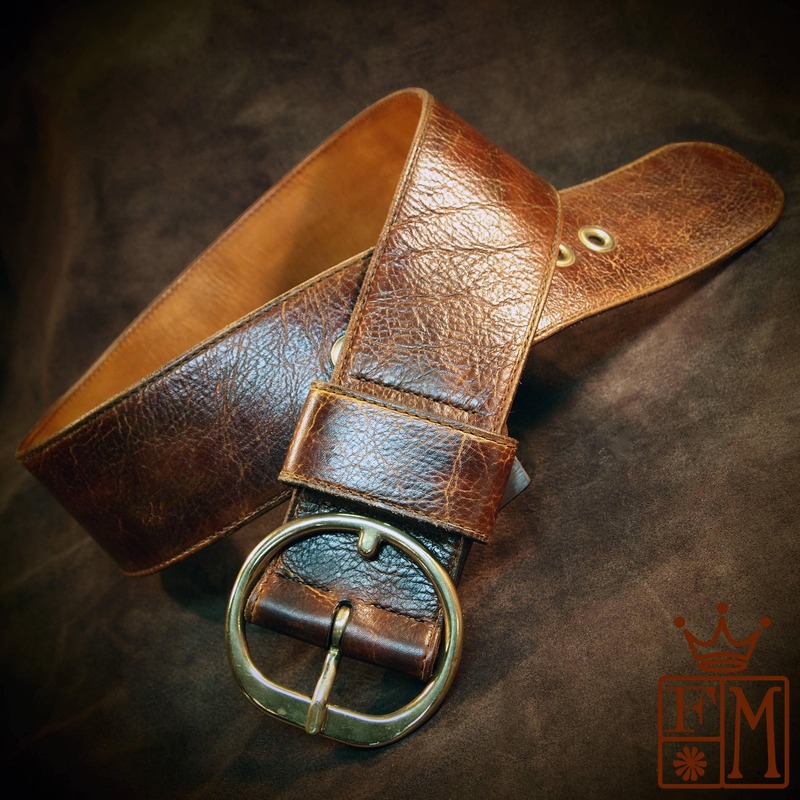 It can be sized for guys or girls!